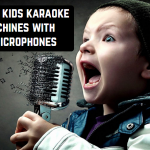 Are you already a professional singer or just planning to start learning vocal skills? Whatever it is, you cannot do without a microphone! But how not to get lost in the variety of the proposed items and choose the tool that will exactly meet your requirements? In this article, we list best microphone brands. 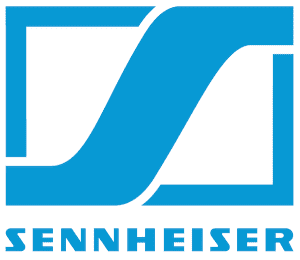 Sennheiser is a legendary manufacturer of headphones and microphones. For more than 60 years, it holds the golden standard of product quality and takes the leading position among the five largest audio equipment manufacturers in the world. Sennheiser produces headphones, headsets, microphones, amplifiers, and accessories. The Sennheiser catalog includes more than 100 different microphones, many of which are recognized by prestigious awards in the audio industry. Sennheiser is appreciated by both professionals and ordinary users. You can find products of the Sennheiser brand in homes, on the street, in record studios, in concert halls, in museums, etc. Excellent German quality is present in everything: you will undoubtedly appreciate the highest level of production and the impeccable sound from Sennheiser. When the job is done by Sennheiser, you don’t need to worry. After all, the company is trusted by a professional community that creates first-class microphones with caps of stunning quality. You can expect a lot from the Sennheiser brand: to the least, it is German reliability and good quality. In addition, the company offers excellent customer support as well as a long-term international warranty for all products. Today, AKG is a synonym for good sound. The company stands for the passion for music and produces high-quality equipment while constantly introducing innovations. AKG is not only considered to be a leader in microphones production, but also an innovator in many audio-technical areas. Products of this Austrian brand are used by many pop and rock stars. AKG microphones can often be seen both in the hands of famous musicians and at various local events. The assortment of the company includes hundreds of products. 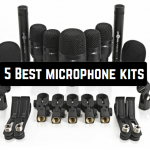 The range of microphones includes lavalier, reporter, surface, measuring, ribbon microphone, and USB microphones. Also, you can purchase radio and intercom systems, gun mics, synchronization equipment, headsets, and other auxiliary accessories. An AKG microphone is a quality, stable and durable accessory. Regardless of the type of model, it has a wide range of advantages. The microphone’s price is based on the parameters of the model, not the brand’s authority, so if you buy a microphone, you will not pay for the brand – only for a quality accessory. The reputation and the commercial success of the company Shure lie within the quality of its products, the proof of which is any product that has descended from its conveyors. After 90 years of walking through a path of constant innovation, Shure treats its business with the same passion and is literally obsessed with producing excellent microphones and audio electronics. Today, every third microphone in the hands of audio enthusiasts on our planet is a Shure microphone. The success of this brand is the result of a constant commitment to quality – the formula that underlies all Shure products. Shure is the most obvious choice for professionals – there’s no doubt about that. Regardless of personal preferences, artists and technicians know that professional Shure microphones always guarantee a good result. Rode is a well-known Australian brand that specializes in the production of microphones of excellent quality. The Rode brand produces various microphones: home, studio, and concert; for sound recording and broadcasting, tame and head, for phones and for smartphones. In addition, the company produces various accessories for microphones. Today, the company is actively investing in research, which allows it to constantly raise the bar of microphones quality. Rode takes into account customers feedback and produces the highest quality products best suitable for its customers. Customers who choose this company get the best warranty service and are always satisfied with the results of the Rode equipment’s work. 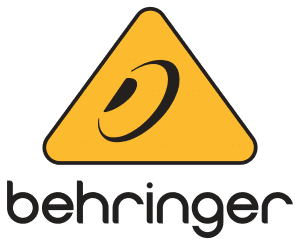 BEHRINGER is a German company engaged in producing professional music equipment. It has gained worldwide fame due to the focus on low-budget prices combined with high quality and wide functionality. A key factor in achieving this goal is efficient production. The most advanced technologies are used in the production of equipment and tools. All stages of production are strictly controlled. Thus, Behringer represents not only loyal prices but also impeccable quality. This brand is chosen by musicians around the world because it never lets you down: all the equipment works stably, clearly, without breakages in the most inopportune moments. An American company Blue Microphones is the world’s leading manufacturer not only of professional studio microphones but also of digital recording USB devices. The products of this brand have quickly become the standard in the recording industry. When creating microphones, the attention is focused on achieving the best sound, adaptable to specific vocals and types of instruments. As a result, Blue Microphones has a wide range of microphones that create a complete palette of sounds, allowing artists to realize the scope of what they can do with audio equipment. The technical solutions of the Blue Microphones company allow it to remain not only one of the industry leaders but also sell their microphones at very reasonable prices. Blue Microphones has fundamentally changed the perception of what a microphone is. The company has created a line of devices with a special sound that makes each Blue microphone truly unique and adapted to today’s recording standards. We can say that these are ideal analog devices for the digital era. To date, Audio-Technica is a worldwide group of companies engaged in the development, production, and distribution of high-quality audio solutions. Founded more than half a century ago, Audio-Technica sets standards of reliability and quality in the professional audio industry. Over the decades of its existence, the company has been awarded a large number of high international awards. It is difficult to overestimate the quality of the microphones of this company, because with every year more and more customers are backing up the use of AUDIO-TECHNICA microphones due to their reliability and comfort along with outstanding sound quality. Electro-Voice is the largest manufacturer of sound reinforcement equipment. The most popular line of products of Electro-Voice is microphones. They are specially designed for the most accurate transmission of timbres of almost any musical instruments and vocals of any singer. The frequency response is usually wide. The microphones are widely used in studios, concert halls, and in many other places. Undoubtedly, the Electro-Voice brand products are one of the most popular on the acoustic equipment market. This is primarily due to American quality, reliability, and the use of advanced technologies in production. Throughout its functioning, Electro-Voice has remained and still remains at the cutting edge. It is renowned for its developments, which have become an industry standard. Today, Samson Technologies are divided into two well-known brands: Samson and Hartke. More than 300 different models are sold and distributed in more than 130 countries around the world. 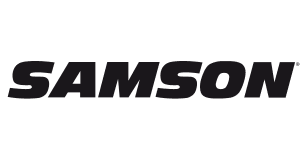 Over the years, Samson has remained the leader in wireless solutions and professional audio equipment production. USB microphones from this brand are now the industry standard. There are about a dozen companies in the world that are considered to be leaders in the production of microphones. They produce microphones of almost all types – amateur, professional, vocal, speech, instrumental, and many others. Regardless of the purpose for which you are going to purchase a microphone, pay attention to the brands described above. They have different price categories for their products – ultra-budget microphones will cost about $20, premium-segment microphones – about $2,000. These companies have long been on everyone’s lips and do not need a special presentation. When you pick up a microphone from a lineup of one or another manufacturer, plan in advance how you will use it – for studio recording or for live performances. Do not rush to choose the most hyped model! If the equipment with which you will use it is inferior in quality, it will eliminate all the advantages of the microphone. Finally, consider the timbre and other features of your voice and choose a model that emphasizes the advantages and conceals the possible shortcomings.